July 9, 2017 ProgressTH Many great ideas from the maker movement and toward localization center around new, technologically-enabled takes on once localized crafts that have been centralized through massive industrialization. One of these crafts, weaving, is particularly interesting. We go through our daily lives ensconced in the textiles we wear, shielded by them in our windows from the sun at day, and covered by them in our beds at night. Yet we rarely give thought about where they come from and how they are made. Massive automated machines (modern looms) weave textiles together by alternating the heights of threads lengthwise while other threads are passed through width-wise. The video below shows a highly automated process moving so quickly that the human eye can scarcely see what is actually taking place. Such machines represent the pinnacle of textile production, the most efficient means yet of producing fabric, built up on centuries of techniques and technologies developed around the world to cloth ourselves, decorate our homes, and cover our beds. To understand how we arrived at this highly centralized and industrialized process and how we might leverage technology to put it back into the hands of local artists and designers, we visited The Loom (Facebook here), a weaving shop located in downtown Bangkok at The Gateway, Ekkamai. 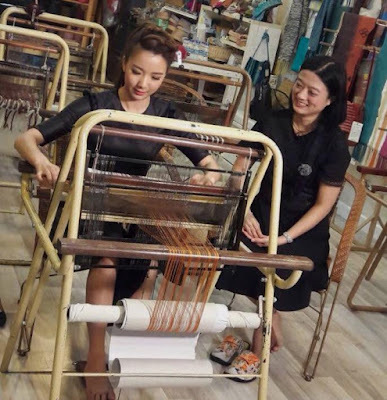 The Loom shop features foldable steel frame weaving looms, weaving kits, and real silk yarn (made in Thailand) for sale, aimed mainly at hobbyists. 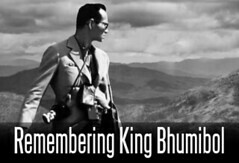 The shop also offers a variety of courses on weaving in both Thai and English. The most interesting aspect of this shop is that the manual looms are sitting right in the middle with projects in various stages of completion on them and an eager staff willing to show visitors around. Research online can tell you a lot about weaving and looms, and looking at different examples of looms in a museum can be instructive, but actually getting to see and touch one is another matter all together. These simple manual looms work along the same basic principles their industrialized counterparts do. Working with them helps understand what is actually going on amid that blur of motion seen in a modern textile factory. Connecting with local weaving enthusiasts is also the first step in understanding the current state of textile production on a local level and what might be done to bridge the gap between this creative community and more technologically-centered makers. 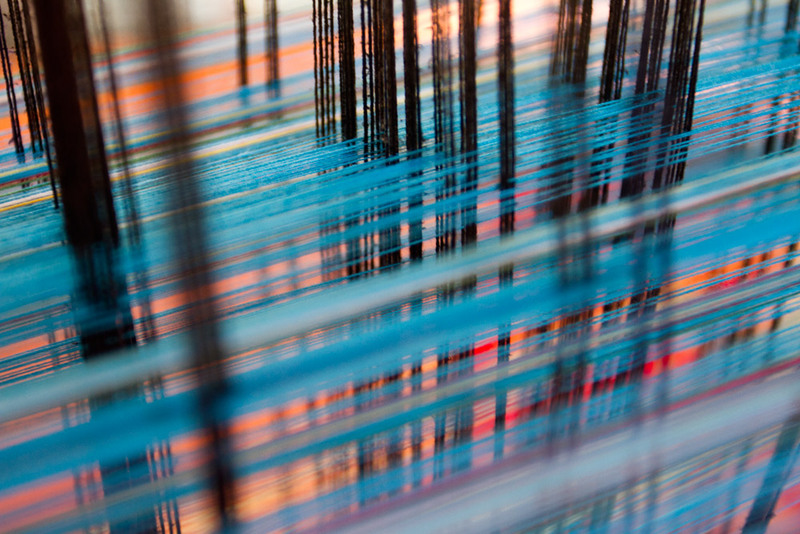 If textile production is your thing, there probably is room for both hand-weaving on looms like those featured above, as well as automation and semi-automation. 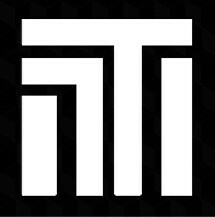 The form that automation takes depends on connecting more technologically-centered makers with more traditional crafts like weaving and seeing if the same sort of localization 3D printing has brought prototyping and small batch production for plastic products can work with textiles. 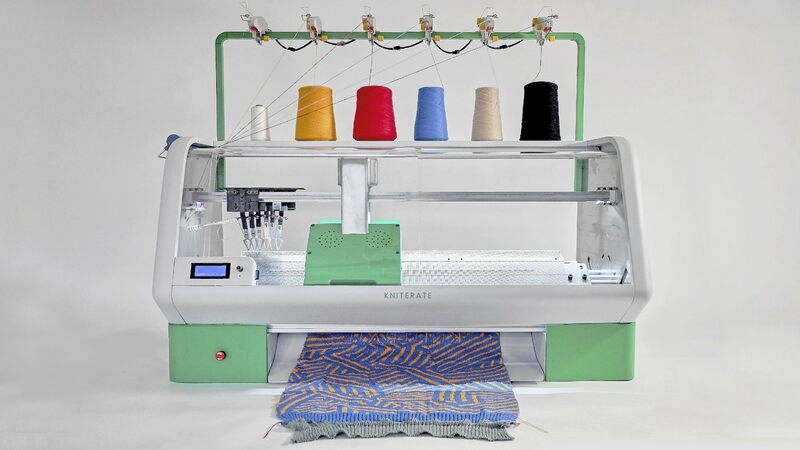 There are already projects/products like Kniterate, a CNC knitting machine. The cost and performance might not place into anyone's hands a turn-key small business, but it is an idea that in the right hands might help makers take one collective step forward toward taking on textiles. 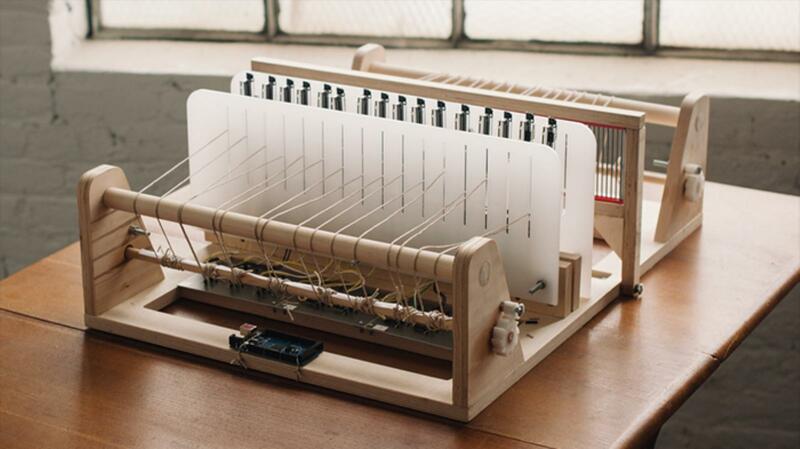 Attempts appear to be underway or at least tried, to create desktop fabric printers, like this "Digital Loom," but just like with 3D printing, the more opensource ideas that enter the fray, the faster and better this possible, potential space may be filled with solutions. For makers looking for a niche or opportunity that is relatively free of stiff competition, textile production, cutting, sewing, and designing is there for the taking. While 3D printing has a million and one applications, a similar DIY revolution surrounding textiles has the potential to touch the lives of all 7 billion of us who seek to cloth ourselves during the day or cover ourselves with blankets at night. Is there a real reason why makers haven't fully worked their way into this aspect of industry and art other than the possibility that we may have collectively taken textiles for granted? A great opportunity, literally surrounding us? Are there other ancient crafts that have been highly industrialized, just waiting for makers to bring back?